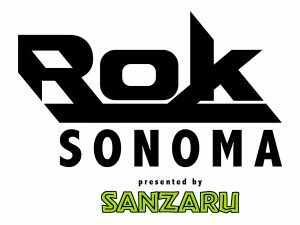 ROK Cup Promotions is pleased to announce Sonoma, California based Cameron Karting as the newest Vortex and Bridgestone ROK dealer. In addition, the Sanzaru Games Karting Championship (SGKC) will add the full ROK class lineup including Micro and Mini as well as Junior and Senior, Masters and Shifter with incentives for drivers that run the Vortex ROK package and Bridgestone Tires. 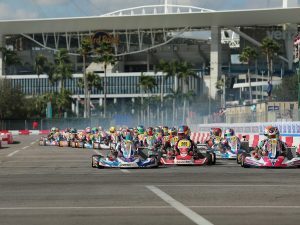 Set to kick off during the third event weekend of the SGKC, the series will offer tickets to the 2017 ROK International Finals and a trade program. 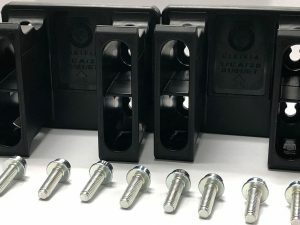 The Sanzaru Games Karting Championship will continue to offer a race program for their valued Rotax customer base as they introduce the Vortex ROK line of products to TaG and Shifter. Beginning with race three on the May 21-23 weekend, the Sanzaru Games race program will offer the full ROK class program in the Sanzaru Games Karting Championship in the new TaG classes that will be offered in every current age category. With the additional classes, the availability of Vortex and Bridgestone related products will be available trackside from Cameron Karting. Cameron Karting, Sanzaru Games Karting Championship and ROK Cup Promotions have also come together and will offer a trade in program. Details of the trade in program are identical to the one announced by ROK Cup Promotions in late March. More details regarding the trade in program, and other incentives for new drivers to the series will be announced soon. 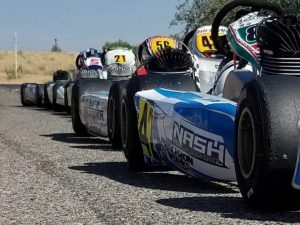 The program for SGKC series members or previous racers looking to upgrade their current package and get back on track will continue through the end of June. In addition to the attractive trade in offer, ROK Cup Promotions, Vortex and Bridgestone Tires have partnered with SGKC to offer four ROK International Finals tickets to Italy. The points leader in each class utilizing the Vortex ROK engine platform on Bridgestone Tires that competes in a minimum of three of the remaining five SGKC events before the September 4th deadline, will win a ticket to Sarno, Italy in October. Micro ROK points leader will receive a ticket to the US Finals in Orlando. While the Sanzaru Games Karting Championship will add the ROK lineup for 2017, they will continue to offer the current Rotax classes unchanged as they work on planning for the future. For more information on Cameron Karting or the Sanzaru Games Karting Championship or to take part in the trade in program, please contact Tavish McGrain at tavish@cameronkarting.com or (707) 938-9986. If you have any questions in regards to ROK Cup USA and ROK Cup Promotions, please feel free to contact ROK CUP USA at (407) 476-5635 or info@rokcupusa.com.